RARH is a small group, but we have incredible resources at our fingertips. 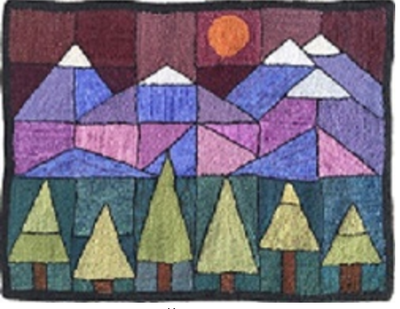 There are FOUR amazing rug hooking/fiber businesses in our area and membership! We’d like to introduce our Rug Hooking professionals to you. “The focus of my business is designs that feature nature and cultural images. Most of my designs are geared for cuts 6-8…although some of them can be executed in finer cuts. 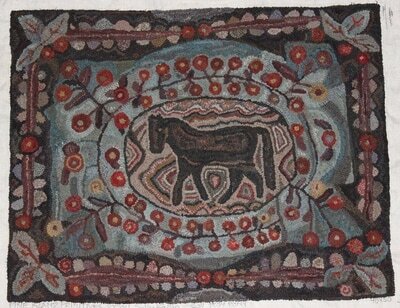 What is your favorite thing about Rug Hooking? Do you have a funny story for us? What else goes on in your world? 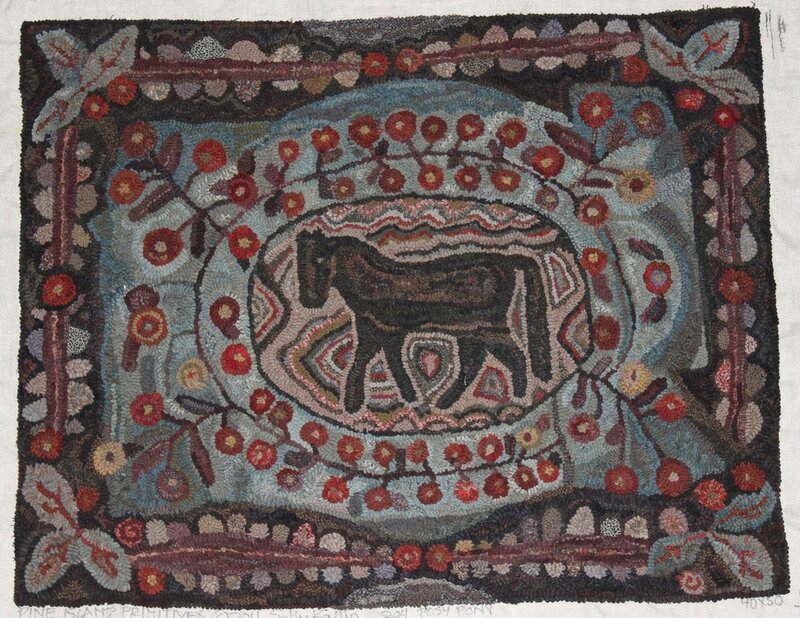 “As much as I love rug hooking, I also spend much time on other fiber interests such as knitting, weaving, wool appliqué and embroidery, and all things textile. You really get around. Where is 2017 taking you? “I’m teaching this year at my home plus in Phoenix, Eureka Spring, AR, Beaver Creek, OH, Crosslake, MN, Mineral Point, WI, and St. Louis. Plus, I am vending in Lenexa, KS, St. Louis, Milwaukee, Owatonna, and the ATHA Biennial in Cleveland. My interest in fiber started thanks to two dear friends. If not for them, I wouldn’t have discovered one of the great passions of my life! And I wouldn’t have met the many inspiring people that I now consider part of my family. I enjoy spinning, dyeing, knitting, crocheting, felt work,weaving, wool appliqué and rug hooking. Just like children and puppies, I could never choose a favorite and I always want more! My focus when vending is on hand spun and hand dyed yarn. But you never know what surprises you might find because I never know what I might create next!